The Diversity Issue – Are We Doing Enough? Are we doing enough on diversity in Canadian film, television and digital media? OK, we all know that the answer is no because you can look around any production office or an industry event and see that it is not reflective of the audience that the industry is trying to entertain. In other industries there are stats that demonstrate that diverse boards or diverse employees result in higher revenues and larger market penetration. This is likely true for the screen-based industries too but since our purpose is entertainment we have to also ask ourselves how can we reach audiences with our stories when we don’t reflect those audiences? What is the actual extent of the non-diversity of our Canadian screen-based industries? That’s hard to say because there are no stats that can answer that question. There is no agreement even on how to define diversity. Is it a set of checkboxes pulled from the Employment Equity Act or the broader Charter of Rights or a way of looking at employees and talent to ensure that you are pulling from the largest possible talent pool to get the most creative talent (yeah, I think it’s the latter). Broadcasters have to track women, visible minorities, disabled and indigenous employees under employment equity legislation and CRTC requirements. Think about the categories that legislation leaves out though like sexual orientation or identity, marital status, religion, age, country of origin, economic status, neurological differences and more. There is no requirement by anyone to track the employees at production companies or on sets. Women in View has published studies of the number of women in key creative positions in film, television and web series but those studies are not a comprehensive look at all job categories nor do they look at other forms of diversity. Lights, Camera, Access! commissioned a report on employment patterns for people with disabilities in the screen-based industries, but again it was a snapshot of the problem rather than a comprehensive statistical analysis. If we do not know the full extent of the problem then it will be impossible to measure progress. In the absence of stats, but recognizing that something has to be done, Telefilm, CMF and others are now factoring gender parity into their evaluation process. Why are they focused on gender parity rather than full diversity? My theory is that it is significantly easier to measure the existing gender balance and any improvements and it is easier to put in place measures to improve that balance, than to do the same for any other underserved groups. One of the greatest obstacles to measuring diversity is the reluctance of marginalized people to self-identify for fear that the identification will be used against them. With a few exceptions, it is relatively easy to identify gender even if people do not wish to self-identify. Will a focus on gender parity naturally lead to greater diversity? I have heard this argument made on more than one occasion and I can’t follow it. More women means more women. Even worse, without systemic change it is likely that those additional women will all be white, straight, able-bodied etc. women. Any systemic change will be more difficult to enact and will take more than a new line on an evaluation form. We need to ask ourselves how we are recruiting talent, where we are looking, are our job descriptions reflecting bias, do we even understand our own biases. We need to educate leaders, managers who do the hiring and even funders on what diversity and inclusion means. In my opinion it is never a bad thing to try to make a difference so I do applaud everyone who is trying, even if it is only to impact the gender balance. I just ask that we keep working on this problem. Let’s get the stats we need. Let’s train more people on diversity and inclusion. Let’s figure out where to best put our efforts to create long lasting change. As screenwriter Denis McGrath had been known to say, and put on a button, ‘Best Idea Wins’, but the industry needs to be more inclusive and reflective of our audience if it is going to have the best pool of ideas to pick from. This entry was posted in CMF, Diversity, Uncategorized and tagged diversity inclusion on April 9, 2017 by Kelly Lynne Ashton. CMF Consultations – Should You Care? Yes. The CMF Consultation Tour for 2015 launched yesterday with the ‘focus group’ in Toronto. There will be a road show across Canada as well as topic-specific Working Groups for representatives of industry stakeholder groups. You can see the tour schedule and a copy of the presentation deck here. As well as in person feedback you can send in your thoughts in a letter or more formal submission or you can tweet feedback using the hashtag #cmfconsults. Every two years CMF has a major consultation to inform any necessary changes to their two-year guidelines. The consultation tour and the Working Groups are a great opportunity for the various stakeholders to get into a room, air their issues and hear the perspectives and explanations of both other stakeholders and CMF staff. It is also the best opportunity for CMF staff to hear about how their programs are working or might need to be tweaked. This year though, the CMF is taking on an additional task. We all know change is coming to how Canadian programming will be funded brought about by changing audience behaviour, technology, business models and regulation (i.e. Talk TV), which will likely all lead to reduced revenues to Canada Media Fund and possibly to broadcasters as well. Rather than wait for these changes to have a major impact (they have already started) CMF has started thinking about what changes they need to make to stay relevant. This started with an internal visioning exercise which has resulted in a few new concepts which they would like feedback on from the industry. Word of warning though – major changes cannot be implemented without the agreement of Heritage because of the limitations contained in the Contribution Agreement between Heritage and CMF, limitations such as requiring broadcast triggers for funding. It is unlikely that Heritage will agree to major changes in CMF during an election year or during what we all expect to be a minority government. I encourage you therefore to check out the presentation deck and either through your organization or individually share your thoughts with the CMF. To get you started, here are a few of the highlights from yesterday’s consultation. implement an approach based on supporting content along a continuum, from emergence to growth to sustainability. Right away I know you are reacting to some of those words but hang on. The next step in the exercise is to look at those outcomes through the CMF’s three activities: foster and develop, finance and promote. The result is a very dense slide (slide 35) of program verticals, targets, project types and objectives. I’ll try to summarize it. Going forward, expecting less revenue, the CMF would like to focus on ‘landmark content’ to maximize their resources where they will have the greatest impact now with audiences and with ongoing revenues. They want to support production companies through the three stages of emergence, growth and sustainability so move beyond just project-specific financing to help the industry reach sustainability. Project-specific funding should eventually be regardless of platform. CMF has a role to play in promoting Canadian programming and financing the increased need for promotion in the crowded media landscape. A lot of time during the consultation was spent on this new concept of ‘landmark content’ and how it differed from what CMF currently funds (i.e. who is going to lose out) and how the definition might need to be adapted depending on genre (i.e. kids or documentary) or platform (i.e. television or videogames). It wasn’t clear to anyone there who would determine what is ‘landmark’, particularly since ‘high potential for success’ is a rather subjective concept. Someone in the audience suggested that ‘landmark’ should mean popular like “Big Bang Theory” but the CMF seems to be going in the direction that it means much more than just audience size but also critical acclaim, international sales, longevity and as well popularity within a niche audience. Feature film, documentary and interactive producers in the room were particularly concerned about what this definition might mean for their sectors. Even the drama producers, who probably have a better idea of how ‘landmark’ might be defined for them, were concerned that there would be enough development money to ensure the creation of ‘landmark’ content. A platform-agnostic approach would mean the ability to fund digital-only (or first) linear video content or web series. Currently only IPF and Cogeco fund web series and they have limited funds and support only some genres. The CMF can see a role for itself here but needs input on what it should fund and how, if it were to be able to fund web series. Remember – there’s that pesky Contribution Agreement requiring broadcast triggers. I found the discussion about potentially moving beyond project-based financing to be very interesting. The CMF is exploring the idea of slate development or production financing, corporate financing based on a business plan, more financing for marketing and promotion and export development. Last winter I did some research on different forms of ‘enterprise financing’ in different jurisdictions so I know that this is definitely a timely consideration as funding agencies around the world are trying to supplement traditional project financing with targeted financing that will build the businesses and help create stable and sustainable sectors. There are many different ways that this could be done with different measurements of success (i.e. revenue generated, jobs, exports, production growth etc.). If revenues to CMF are going to dwindle with no replacement regime in sight*, then it makes a lot of sense to help businesses need less (not no) government support. There are no quick fixes to these issues and lots of potential for damage if the wrong decisions are made or impact is not fully thought out. This is a great opportunity to be part of the planning. I encourage you to read the materials, attend consultation sessions, ask questions and of course, tweet. I’ll be following along with great interest. *In a timely tweet an FCC Commissioner shared a blog post about New Zealand considering imposing a sales tax regime on Netflix, which would be a first step towards confirming that the CRTC had jurisdiction to impose a contribution regime on Netflix and similar non-Canadian OTT services. This entry was posted in CMF, Funding, Strategy and tagged CMF on September 10, 2015 by Kelly Lynne Ashton. Digital Canada 150 2.0 – Have They Gotten It Right Yet? Not so much. I was going to break down the differences between Digital Canada 150 (released April 4, 2014) and Digital Canada 150 2.0 (released today) but it’s kind of ridiculous. Very little has changed in the past year. It is still more of a ‘look what we did including a bunch of stuff that has nothing to do with a national digital strategy but sounds good’ than a plan for ensuring that Canada and all Canadians are digitally literate, part of the digital economy, using the tools and enjoying the content. Yay – the CRTC (which is an arm’s length tribunal so can’t really be part of the government’s strategy unless it isn’t that arm’s length) has instituted unbundling like the government said it would. No mention of the fact that we really won’t know the consequences of that decision for consumers and for broadcasters until it is implemented in 2016 or explanation of how that relates to a digital strategy. 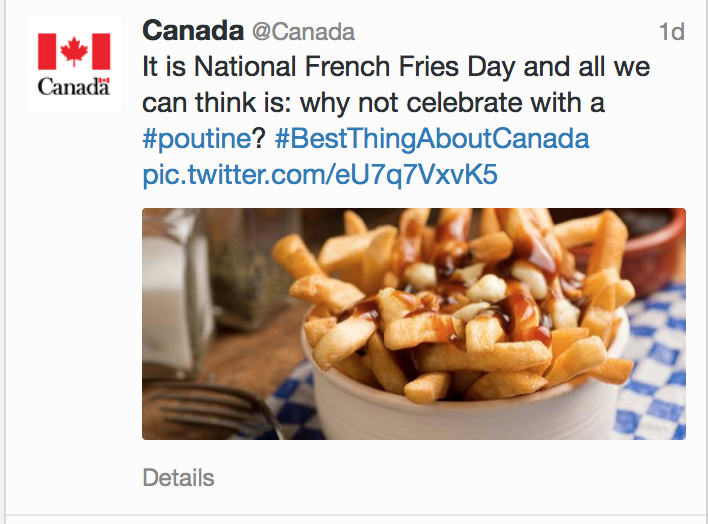 Yay – the @Canada twitter handle exercises digital diplomacy. I dare you – go check out that twitter handle. The report does cover a number of other issues (I’m not going to even touch the reference to Bill C-51 as an example of Internet Safety) but those are of greatest relevance to an audio-visual industry. BUT. What the audio-visual industry called for in the 2010 consultations was vision and a plan to ensure that all Canadians had access to digital platforms and the choice to enjoy Canadian content when they got there. It asked for an overhaul of the various silo’d funding programs to have a coordinated strategy to fund single platform and multi-platform content in a digital world. It asked for funding mechanisms to ensure that Canadian content continued to be created even as business models and technology evolved. It asked for training programs that ensured that emerging and more established talent had the skills needed to create and exploit content. 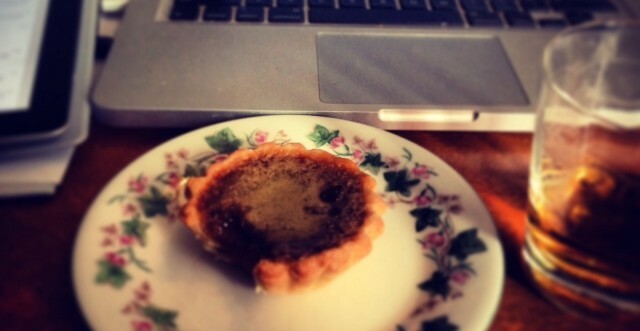 For a quick refresher on the agonizing pace of waiting for a National Digital Strategy that included content, see my post on the release of Digital Canada 150 on April 4, 2014 in response to the Industry Canada consultation in 2010. So, we’re still waiting for some vision. This entry was posted in CBC, CMF, CRTC, Digital, Industry Canada and tagged Canadian government, Industry Canada, National Digital Strategy on July 15, 2015 by Kelly Lynne Ashton. Today Interactive Ontario launched the International Digital Media Co-Production Guide for Canadian Companies. I’m rather proud of it since IO hired me to research and write this report and it consumed a great deal of my Winter 2014. I’ve given you the link to the report on the IO website but you can also find it on CMF, OMDC and Bell Fund’s websites (as funders of the study) and CMF also has a French version. You should check it out if you’re interested in digital media co-production. I spoke with a number of producers and stakeholders in Canada and outside to identify the advantages and disadvantages to this kind of business structure as well as the different business models that producers are experimenting with. The report also has tips for how to get started in the international marketplace and a section that provides specific resources for UK, France, Germany, Australia and New Zealand. It’s both a big picture report and a handy tool for producers. This entry was posted in CMF, Co-production, Digital, Heritage, Research, Self-Promotion and tagged Bell Fund, CMF, Co-production, OMDC on September 23, 2014 by Kelly Lynne Ashton. I just wanted to let you guys know that I wrote another blog post for CMF’s Watch Squad, this one on CBC’s new online comedy channel (do not call it a portal) – Punchline. It’s an interesting new venture that I’ll be watching both from the perspective of content creators (a new distribution channel that doesn’t require broadcast, a new way from a broadcaster to develop and test out material and talent) and as a solution to CBC’s funding woes as they move some of their content to the less expensive digital platforms. It also plays into the CBC’s role as a public broadcaster and the constantly shifting perspective of what that means for those inside the CBC. There are policy implications as that platform is unregulated. That doesn’t mean much for Canadian content concerns since it is the public broadcaster and their focus is Canadian comedy but what about the other policy goals of the Broadcasting Act like accessibility, diversity and regional reflection. What about accountability? It may not be an issue now but it certainly should be monitored. I think Punchline is a great opportunity for comedy in Canada and I’ll be watching it’s development. And I loved that I got to meet with comedy people at the CBC and pitch them on revisiting my fave CBC comedy show, “Michael Tuesdays and Thursday” – I couldn’t pass up an opportunity like that! This entry was posted in CBC, CMF, Digital, Self-Promotion on July 29, 2014 by Kelly Lynne Ashton. Is Primetime Still Important – You Betcha! The Canada Media Fund (CMF) has asked me to write the occasional blog post of television issues and my first one was released today. I just want to give a little more context to why I thought it was a necessary topic – space and tone were limited there (I had to sound more pro and less convo as I do here). If you were listening to the Rogers licence renewal hearing last week you would have heard a reminder as to why a discussion about the continued importance of prime time is important. Or if you read Andrew Coyne today, you would get another reminder. Everyone seems to think that prime time is out the door or has one foot in the doorway. The stats say otherwise. In the Rogers licence renewal hearing, Rogers argued that they did not need to broadcast ethnic news in prime time because their audience is going digital and can pick up all their news online. They would rather air reruns of US programming in that time slot and make more money. In a unscientific but illustrative poll, Commissioner Raj Shoan asked many of the intervenors if they or their stakeholders watched Omni and particularly the ethnic news online. Very few admitted to watching online and in fact most were adamant that they and their stakeholders wanted to watch their news on broadcast and in the evening. This was what they were used to. I’m sure that this was no surprise to Rogers. Though BBM data is notoriously difficult when it comes to capturing ethnic audiences (not large enough sample sizes) they must know from feedback from their audience that the broadcast schedule is important to them. Rogers still tried to make the argument that we are in an on demand world as a way of trying to reduce regulation and increase revenues. It sounded to me like the CRTC wasn’t buying it but we’ll see. Today’s piece by Andrew Coyne puts the on demand world a little further out at ‘a few years, maybe two’ as part of his argument that we no longer need the CBC, CanCon, the CRTC and the Broadcasting Act. His argument ignores the facts, such as those quoted in my CMF blog post, which demonstrate that tv viewing is not actually dropping. The growth of on demand, currently at least, means that we are watching more video entertainment in total given the opportunities of digital platforms. So yes, for the foreseeable future we do still need the CBC, CanCon, the CRTC and the Broadcasting Act. And regulation that ensures that there is the choice of Canadian programming in primetime when most Canadians are watching. This entry was posted in CBC, CMF, CRTC, Funding, Research, Statistics, Television and tagged Andrew Coyne, CMF, CRTC, Primetime on April 15, 2014 by Kelly Lynne Ashton.